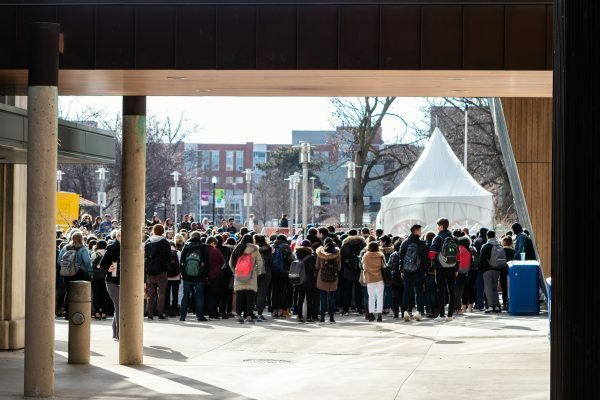 On March 19, hundreds of students, faculty and staff filled the McMaster University Student Centre courtyard to mourn the victims of the Christchurch massacre. The terrorist attack was committed on March 15 by a white supremacist who opened fire in two mosques in Christchurch, New Zealand, killing a total of 50 people and injuring 50 others. The attack was considered the worst mass shooting in New Zealand’s recent history. 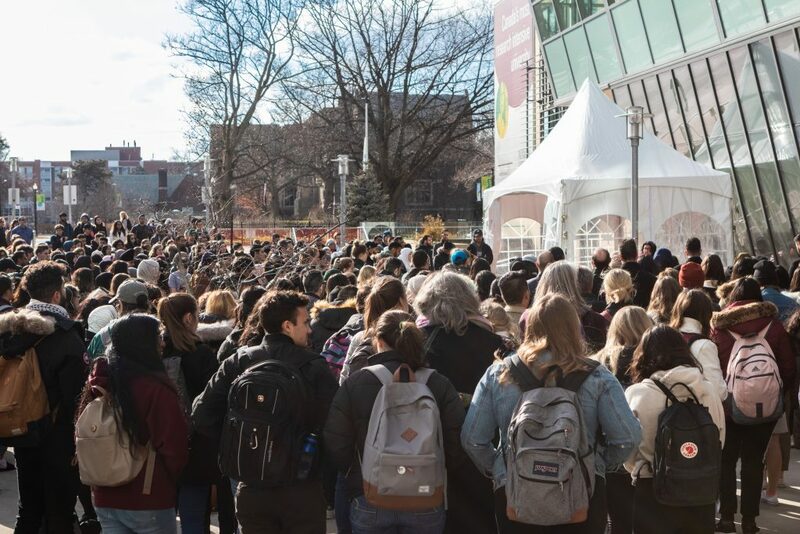 The vigil was organized by the McMaster Muslim Students Association in collaboration with the McMaster Muslims for Peace and Justice and the McMaster Womanists. The three groups brought 15 speakers from various parts of the community to speak. The vigil began with a recitation from the Quran. In a particularly poignant moment following the recitation, the organizers honoured and read out the names of the 50 who died due to the attack. A theme echoed throughout the vigil was that the attack reflected a larger movement of white supremacy, Islamophobia and bigotry across the globe. “White supremacy exists, toxic masculinity exists, misogyny exists. Xenophobia, racism and Islamophobia exist. These things exist in New Zealand, in the United States. 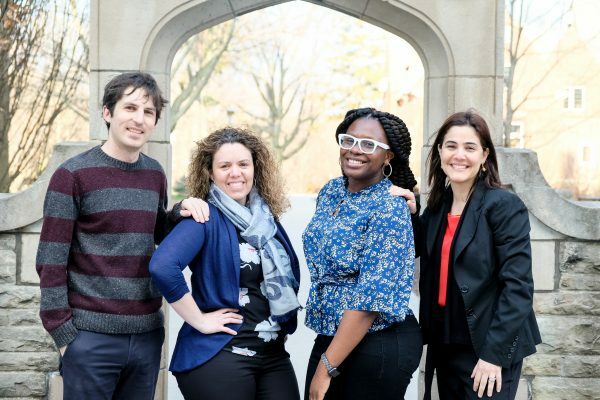 They also exist right here in Canada, in Ontario, in Hamilton,” said Khadijeh Rakie, a staff member of the McMaster Equity and Inclusion Office. Rakie encouraged Muslim people to grieve freely. “I don’t think our strength or grief must be looked at in one way, or need to be performative or palatable or always available for public consumption,” said Rakie. Speakers pointed out the connection between Christchurch and the 2017 Quebec mosque attack, completed by a white supremacist, which killed six people in prayer. “Far-right populist leaders around the world and false media narratives have stoked the fires behind the dehumanization and demonization of Muslims worldwide, causing events like the one in Christchurch,” said one student speaker. Many speakers also expressed appreciation for other faith groups who have supported and stood in solidarity with them since the attack. Other speakers encouraged Muslim and non-Muslims alike to actively stand against discrimination in all its forms. “As different societies face all forms of prejudice, persecution and rhetoric against immigrants, refugees, visitors and worshippers of all kinds of faith, backgrounds, and communities, we must all stand together against all forms of violence, ignorance and hatred,” said another student speaker. Mahmood Haddara, the president of McMaster MSA, called for compassion and unity. “We need at times like these to build those connections with each other, to turn towards each other, to remind ourselves of that love and that connection, to look at the person next to you regardless of their skin colour or their belief and remind yourself that they are your brother or sister in humanity,” said Haddara. Following the speeches, the organizers held an open prayer in the MUSC atrium. Gachi Issa, one of the organizers of the vigil, said she is grateful for the support from the McMaster community and hopes the vigil will also spark discussion about discrimination and Islamophobia in Hamilton and on the McMaster campus.